Having recently written a feature on the growing adoption of artificial intelligence-type (AI) technologies in the legal marketplace for Legal Futures Insight, I’ve been speaking to people in a number of different walks of life about how AI might affect all of us. Curiously, a common response from skilled professionals is along the lines of a defensive ‘what I do is specialised and relies heavily on exclusively human qualities’. Professor Richard Susskind and his son, Oxford economics lecturer Daniel, in their book, The Future of the Professions: How Technology Will Transform the Work of Human Experts (reviewed by Legal Futures Editor Neil Rose here) note similarly that professionals see the advantages of AI in every field but their own. But at first glance, some areas of journalistic turf appear resistant to incursion by computers. The knack of writing a complex news story or news feature involves careful judgement as to what is newsworthy about a particular event, how best to present and prioritise the facts, and what information to keep and what to discard. Writing a story or feature generally involves interviews, which entail another series of subtle judgements and – not least – human interactions, during which information is sought and (hopefully) imparted, helping to build a picture which is then written up by the author in a highly individual interpretation. Experienced legal journalists have also accumulated a body of insights about the profession that would surely be difficult to replicate by mechanical means. This rose-tinted view could probably also be described as an ostrich’s approach to the future. It pains me to admit it, but an advanced computer with access to every newspaper and magazine article ever published and scanned into a digital format, should be able to crack journalists’ craft by triangulating common points in its massive database and determining how the task is done with accuracy – maybe even flair. It is not inconceivable either, that a future non-human intelligence could even arrange and conduct natural-language interviews and then distil the gathered pool of information into an entertaining and informative piece of work. If this happens, my job will have been converted to what the Susskinds describe as a “commoditised process – by standardising, systematising, and externalising”. So much for journalism then. But how might lawyers fare in an era of true – or ‘strong’ – AI, in which, perhaps, machines will hone their skills through the night instead of having to be trained, painstakingly, as they are now, by humans? Apart from the legal process worker who does repetitive, relatively low-skill tasks, surely high-end lawyers will be saved by their ‘trusted adviser’ status, their hard-won wisdom, backed by years of experience? Not necessarily. Take a long-standing in-house counsel for a large corporation, working in the near future, for example. The board takes seriously advice not to litigate on a matter, the GC’s great experience on such matters supported by the prediction on the tiny digital assistant on the desk in front of them. Having in seconds searched vast databases of comparable matters and verdicts across the common law world, the assistant is flashing “77% probability of failure in court, settlement advised”. The Susskinds go further, urging a complete rethink about the trajectory of technology and the role of the professional in the digital age (as opposed to the print-based industrial age). The transitional ‘technology lag’ – between the arrival of technology and our ability to extract value from it – is almost over, they argue. 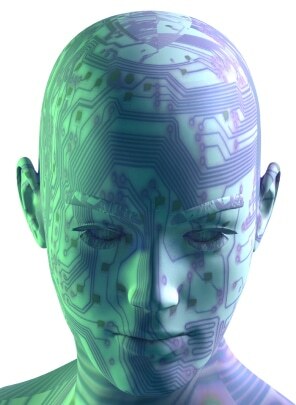 Although they envisage “increasingly capable machines” rather than the human-like robots of science fiction, such developments as the phenomenal growth of IT, computer processing power, data storage, global connectivity via the Internet, pervasive mobile devices, co-operation, collaboration, crowdsourcing, crowdfunding and so on, bring the practice of law to the cusp of great change. The authors present eye-popping, real-world, statistics to illustrate the baseline from which the future can be extrapolated, such as the 2010 claim that humans generate every two days the same volume of information they created from the dawn of civilisation until 2003, and it could be down to a couple of hours by 2020; last year more than 196 billion e-mails were sent each day; one in six of the world’s population socialise on Facebook; and 300 hours of video is uploaded each minute by YouTube’s one billion users. In short, the context within which we all operate is changing immeasurably and with extraordinary speed. We cannot know what disruptive technologies the future holds, but we need look only a few years back to see the direction of travel. The younger generations that are ‘digital natives’ and have known no other existence, will be the customers, clients, and consumers of the future. I suggest that everyone who considers themselves ‘professional’ reads this book, especially those who are aged, say, 20-45, who need to secure their role in the new world of work. The authors predict that “our professions will be dismantled incrementally”. If they are right, today’s lawyers need to prepare for it, and the sooner the better. These issues will be debated at next Tuesday’s Legal Futures Annual Innovation Conference: From ABS to AI. A few tickets are still available – see here.